Below you fill find all funeral homes and cemeteries in or near Corona. 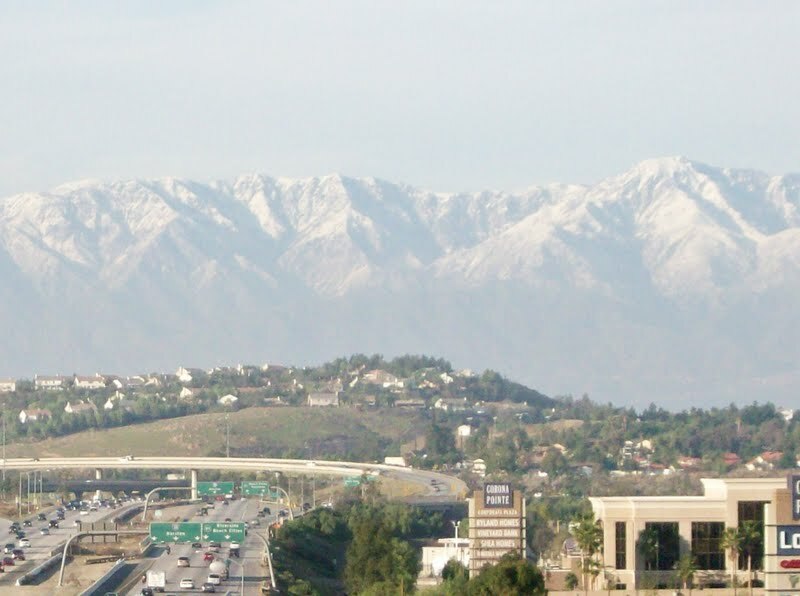 Corona is also known as: Riverside County / Corona city. Their current mayor is Mayor Eugene Montanez. Zip codes in the city: 92877, 92878, 92879, 92880, 92881, 92882, 92883. Some of the notable people born here have been: Gary Webb (journalist), Ken Calvert (politician and businessperson), Tyler Hoechlin (actor and baseball player), Matt Spanos (american football player), Terry Tautolo (american football player), Terry Tempest Williams (writer), and Doug Bird (baseball player). It was reported by Orange County Register on March 28th, 2019 that Dorothea H Beeler perished in Corona, California. Beeler was 69 years old. Send flowers to share your condolences and honor Dorothea H's life. It was written by Orange County Register on February 27th, 2019 that Mindy Jo Mason passed on in Corona, California. Mason was 58 years old. Send flowers to express your sorrow and honor Mindy Jo's life. It was revealed by Orange County Register on February 12th, 2019 that Laquita Lee Kishineff passed on in Corona, California. Kishineff was 88 years old. Send flowers to express your sorrow and honor Laquita Lee's life. It was noted by Orange County Register on January 28th, 2019 that Angelo R Gibilterra perished in Corona, California. Gibilterra was 78 years old. Send flowers to share your condolences and honor Angelo R's life. It was reported by Register Guard on December 2nd, 2018 that Larry Earl Phipps died in Lane Co, Oregon. Phipps was 76 years old and was born in Corona, CA. Send flowers to share your condolences and honor Larry Earl's life. It was noted by Orange County Register on November 18th, 2018 that Beatrice "Bea" Betley (Tavares) passed away in Corona, California. Ms. Betley was 63 years old and was born in Jersey City, NJ. Send flowers to express your sorrow and honor Beatrice "Bea"'s life. It was written by Orange County Register on November 8th, 2018 that Doris D Smith died in Corona, California. Smith was 91 years old and was born in Clay Center, KS. Send flowers to share your condolences and honor Doris D's life. It was written by Orange County Register on November 1st, 2018 that Karen Wyatt perished in Corona, California. Wyatt was 67 years old. Send flowers to express your sorrow and honor Karen's life. It was written by Orange County Register on October 7th, 2018 that Ruth Ann Magnotte (Yowell) passed on in Corona, California. Ms. Magnotte was 95 years old and was born in Rosedale, IN. Send flowers to share your condolences and honor Ruth Ann's life. It was reported by Orange County Register on May 10th, 2018 that Delores Arlene Neal perished in Corona, California. Neal was 77 years old. Send flowers to express your sorrow and honor Delores Arlene's life. Planning a funeral is a stressful experience. We provide you with comprehensive listings of the funeral services available in Corona. Browse to locate Corona cemeteries, funeral homes, cremation providers and funeral flower arrangers. 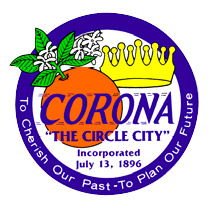 Corona is nicknamed "The Circle City" for its unique layout. While the neighborhoods are laid out in a typical grid formation, they are encircled by the Grand Boulevard. At one point in the early 1900's the boulevard was used as a race track for international car races. While the layout of the city was planned well, something that lacked thorough planning was the city's attempt to bury time capsules. The city holds a record for the most lost time capsules, at 17. Corona del Mar. 949-760-0331 ... Plummer and one known only as "the angry woman" are said to hang out, the historic California Hotel, now Villa del Sol and the home of Fullerton's first female auto dealer. 6 p.m. Wednesdays-Thursdays thru Nov. 4; Also: 6 p.m.
Visitation: 3 to 7 p.m. Thursday, Sterling & Smith Funeral Chapel ... In lieu of flowers: Lupe Corona Memorial Fund, in care of Golden 1 Credit Union, 1934 Howard Road, Madera, CA 93637. DALLEY -- Marie Puffer Dalley, 82, of Fresno died Friday. Walker Family Funeral, Corona, CA : Reviews and maps - Yahoo! Local, 951.898.0452. Get Ratings, Reviews, Photos and more on Yahoo! Local. We work with local florists and flower shops to offer same day delivery. You will find budget sympathy flowers in Corona here. Our funeral flowers are cheap in price but not in value.